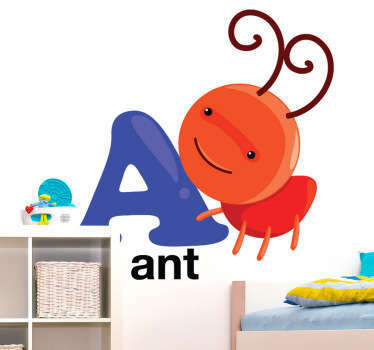 Collection of designs with an alphabet theme. 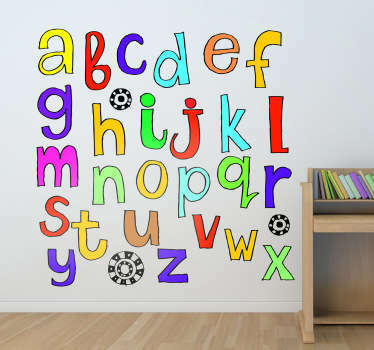 Decals and stickers with various colourful and patterned combinations of the letters of the alphabet. 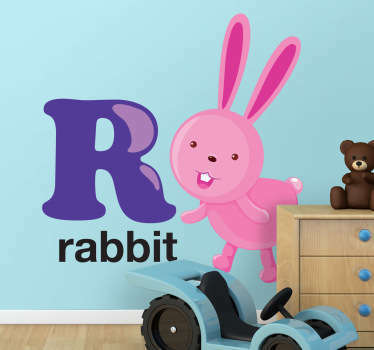 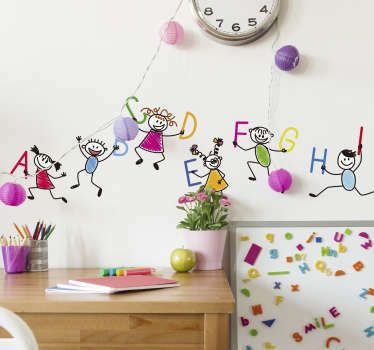 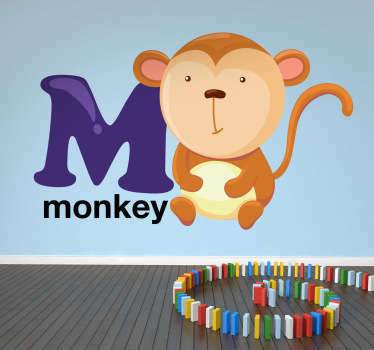 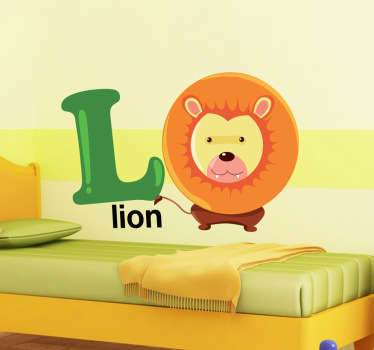 Ideal for bedrooms and play areas for kids. 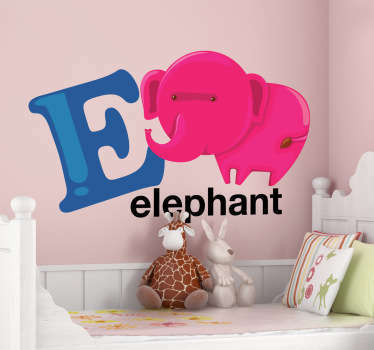 Why not place one of these stickers in nursery classrooms, bedrooms or even hospitals to help children to learn the alphabet in an easy and fun way. 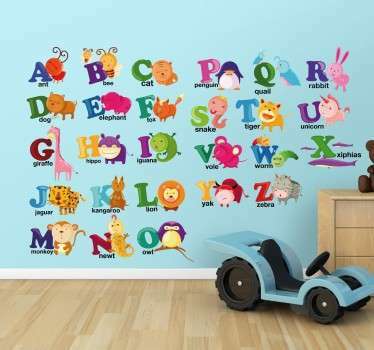 Whether you want all 26 letters together to create a colourful display, or individual letters with cute illustrations of animals. 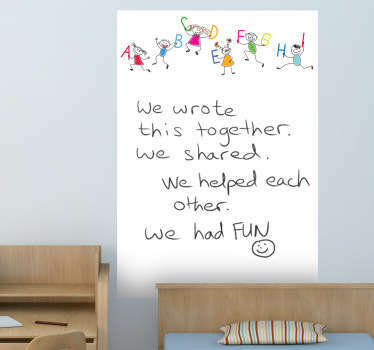 Brighten up your rooms while also educating your children! 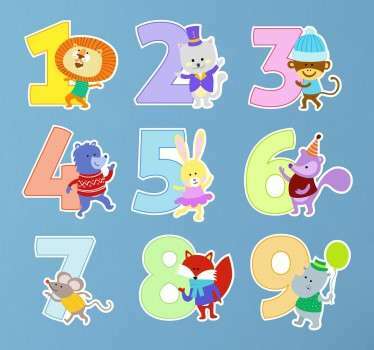 Stickers with numbers from 0-9 also available in many different designs.